The Liddesdale provides plenty of room for layering and a generous fit, we suggest you go down one size if you prefer to wear this as a summer jacket. One of the most iconic Barbour jackets, the original Liddesdale jacket is a firm favourite year after year. 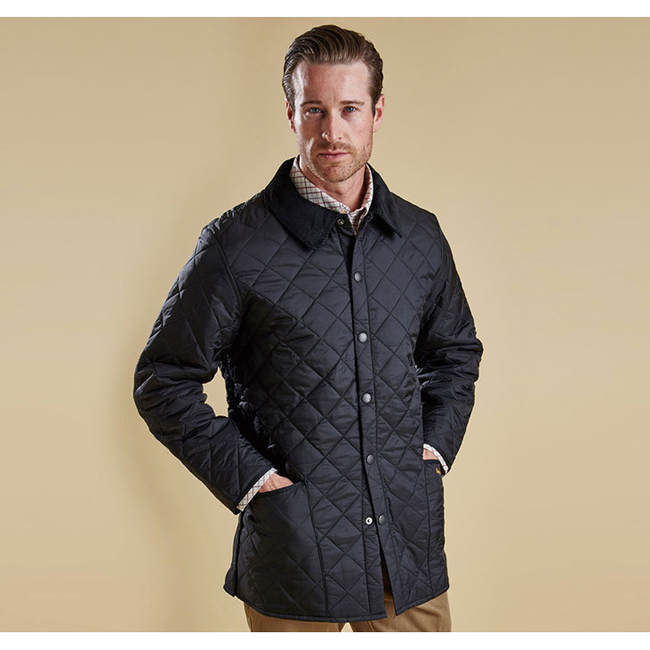 With Barbour's signature diamond quilted outer and a warm yet lightweight contrast polyamide lining, this popular men's quilted jacket is durable, simple and stylish. From the Classic collection and available in a range of wearable colours, it features a robust front stud fastening to protect from the elements, and a smart sit-down cord collar that can be raised for additional warmth and protection, with a luxuriously soft feel against the skin. With a generous fit, the Liddesdale provides plenty of room for layering up with chunky knits and insulating gilets, while the studded rear vents ensure comfort and ease of movement. The signature front patch pockets are trimmed with contrast Barbour embroidery and are generously proportioned, while a zipped inner security pocket helps to safeguard valuables. A timeless addition to any winter wardrobe. I like this jacket very much. It fits well and is warm. I may purchase another one in a different color. After reading several reviews, and then finally trying one on in store before purchasing, I knew I needed to order a size smaller than I typically would. I've worn a black jacket with my work logo on it for several years and the long, cold, ND winters made me want something other than black for my daily wear jacket. We've recently had temps well below zero for days (-20 or more with wind chills even lower), and I need something that can hold up to these temps. This jacket does it! It's a bit stiff at first but I have no doubt it will soften up over time. The color is a great shade of red and it's very comfortable. In typical Carhartt fashion, I expect to last for years.